Priyanka Chopra keeps throwing us a curveball every time she steps out. Her recent style shenanigans have attained an all-time high, courtesy fashion stylist Mimi Cuttrell. Keeping her tryst with high fashion for the umpteenth time, Priyanka pulled off a Sally La Pointe strapless gown. 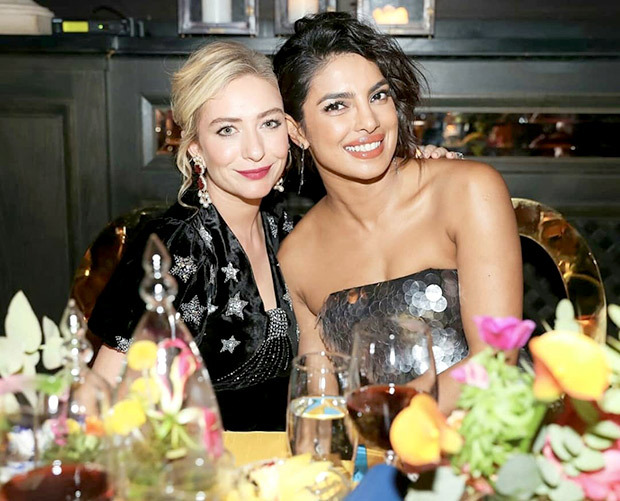 Priyanka had us swooning over her uber-glamorous avatar as she made her way to the launch event of Bumble India, a dinner party at the Gramercy Park Rooftop Hotel in NYC. The customised dark grey dress from the Fall 2018 collection featured a front slit and bold sequins all over. Stilettos from Alexander Wang, a small black bag from By Far were the perfect accessories of choice. Priyanka flaunted defined eyes, glossy mauve tinted lips, courtesy makeup artist Yumi Mori. Hairstylist John Maine gave her a messy hairdo with side wavy bangs. On the personal front, Priyanka is touted to tie the knot in December with fiancé Nick Jonas following an intimate traditional roka ceremony with family and friends in July. On the professional front, Priyanka has commenced shooting for The Sky Is Pink with Farhan Akhtar and Zaira Wasim.